Fulham boss Slavisa Jokanovic admitted his future was in the balance after his side’s 1-0 defeat at Huddersfield. Timothy Fosu-Mensah’s first-half own goal sealed Huddersfield’s first Premier League win of the season and lifted them above Fulham, who slumped to the bottom of the table. It was the Whites’ fifth straight league defeat and leaves them with just one victory from their first 11 matches back in the top flight. “Part of the job is in the hands of my players, part is in the board’s hands too,” Jokanovic said. “I personally trust in myself. I will push hard. The solution can be from another side, the board can have some different views. This is part of the board’s responsibilities. “I remain confident. I know it’s not enough for the team, I know it’s not enough for the supporters what we offer right now at the beginning of the season. 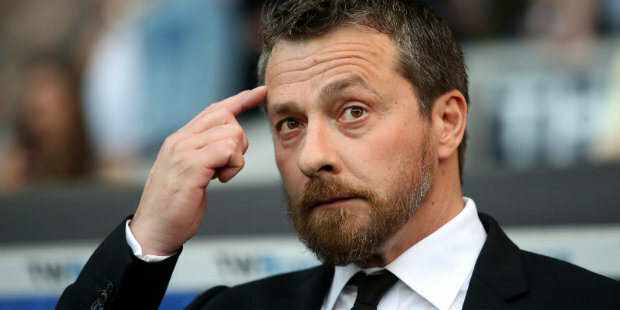 Fulham equalled a Premier League record of 29 goals conceded in their opening 11 matches and Jokanovic was clearly disappointed in some of his players, accusing them of lacking fight. “For some reason, yes,” he added. “I don’t know if the preparation of the game wasn’t that good, or if we didn’t understand how important this game is. “At the end we were a little bit confused. I don’t know if some players were a little bit scared about the responsibility of what is in front of us. We didn’t perform enough.